The brake light on dash comes on and of f while driving, the reason for this is that the brake fluid is slightly low. Steering wheel shakes when I brake, usually this is the most common question I received. On this article I will try to answer this common problem, during braking when the brake pedal is depressed you will feel vibration on the steering wheel. After the brake pedal is release all brakes are still partly on. This is because of the brake drag or a problem on the master cylinder. When the brake is apply one of the wheel locks up or skid. An extra hard step is necessary when the driver step on the brake pedal to stop the car. After the brake pedal is release the rear brakes is still partly engage or the brake is dragging. 1. The shoe retracting spring is broken. 2. The piston cylinder is stuck. The car rear wheel is mostly use a drum type brake system, with the drum type brake system it consist of a cylinder piston that forces the brake shoe against the drum when the driver step on the brake pedal. When the brake shoe and the drum are made contact with each other, the car will stop. 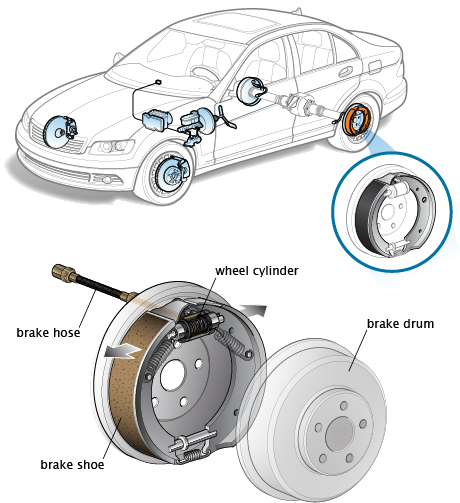 Now, when the brake pedal is release the brake shoe is pulled away from the drum by the use of the retracting springs so that the wheel will turn again freely when the car starts to move again. During braking when the brake pedal is depressed there is a clunk noise which can be heard coming from the front end. When the brake is applied click noise is heard coming from the front end, usually the cause of the problem is a loose disc brake components. While applying the brake there is a vibration on the brake pedal., usually this is a cause of misalignment between the pads and the disc or misalignment of the shoe and the drum in case of drum brakes. When the brake pedal was depressed, it goes further than normal, this is because the system do not have brake fluid or the brake lining worn out. After the driver step on the brake pedal to stop the car the front end of the car dives. If the car front end dives when the brake is applies, this does not necessary mean that there is a problem on the brake system but rather a problem on the suspension particularly the front shock absorber or the front strut cartridges. 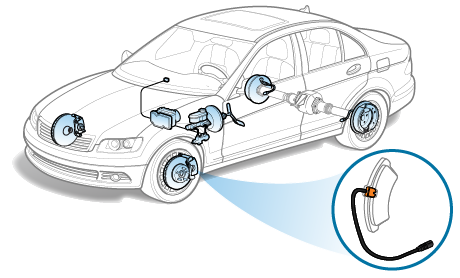 Front suspension has two key components which is the shocks and the spring. 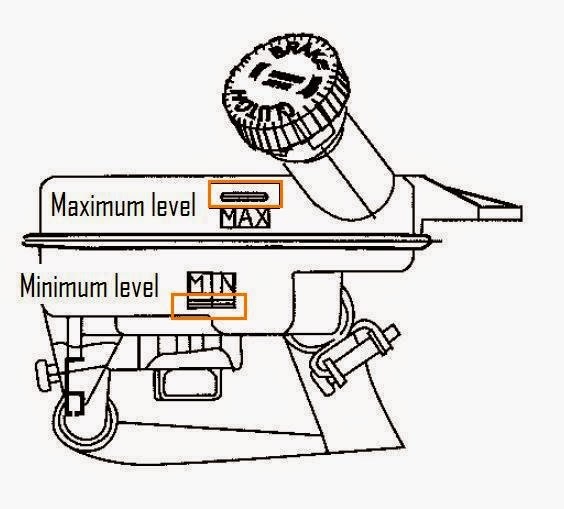 These two components are separated with each other, however there are also cars in which these two key components are integrated into a single unit in this case it is called the strut. The shock portion of the strut is the strut cartridges or the damper. There is a rattling noise coming from brake. 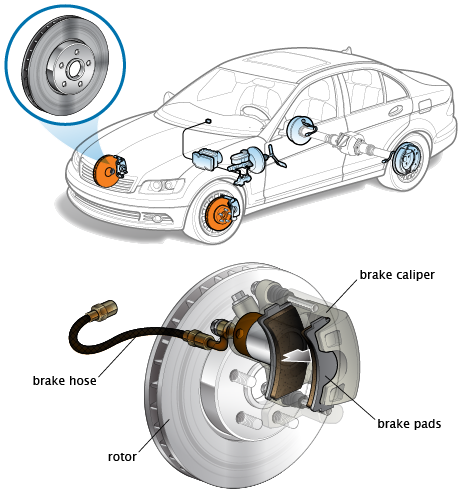 Rattling sound that comes from the brake is usually caused of loose parts on the affected brakes. Car pulls to one side when the brake is apply. When car pulls to one side when the brake is apply, there are three possible causes for this problem that is the front tires, front end and front brakes. To determine which of the three causes the problems check the car. During braking grinding noise occurs. Several problems occurs on the brake system and the most common of them all is grinding noise when braking. However if the brake produce grinding sound it does not always mean that there is a brake problem but rather it warns the driver the brakes suffers excessive worn on the brake linings and this is the starts of a bigger problem that may occur if the driver neglect this sounds. The brake pedal goes to floor when the brake is lightly applied. 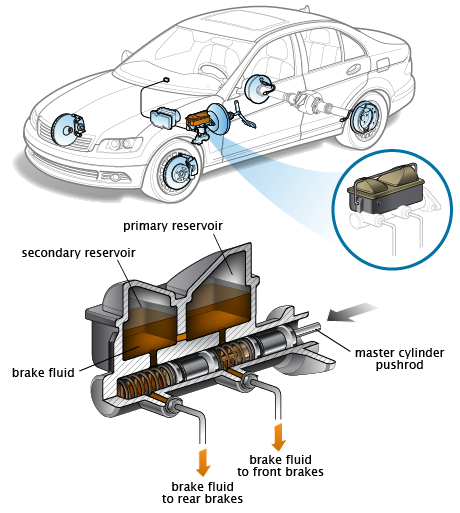 Free car diagnostic: If brake pedal goes to floor when the brake is applied, it usually means that there is a leak on the master cylinder. Master cylinder consists of a primary and secondary pistons which operates on either the front or rear brakes. Both pistons is sealed with a component called “cup” when the brake pedal goes to floor the most likely to happen is that the primary cup that seals the primary piston is leaking brake fluid even when brake is lightly applied. Symptoms of Car Problems: Brakes making grinding noise during braking. Troubleshooting car problems: When brakes are making grinding noise while the brakes are applied, this indicates excessively worn brake linings. The brake lining was excessively worn down and nothing left but an exposed metal which rub against the disc or the drum depending on the location where the grinding noise is heard when applying the brake which resulted into a grinding noise.